Discussion in '2019.1 Beta' started by dadude123, Feb 2, 2019. - Unity 2019.1.0b1; Installed through the unity hub. I remember that I tried some very early alpha versions and those worked. While in this beta I'm stuck in the demo scene already. Am I doing something wrong? Anything obvious that I might have missed? exactly my problem right now too! just on bet 2019.1.0b1 is happening. 1) 2019.1.0b1 works best with HDRP version 5.3.1 but it's not automatically showing on Package Manager yet. 5.2.3 will throw some errors on things. 2) that initial view when you open the editor has been like that on 2019.1 always (at least as far as I remember), you need to go once in play mode for it to show up the scene like it should display. hope soon HDRP 5.3.1 show up on package Manager. 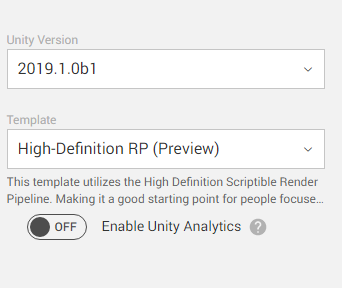 You can manually edit your manifest if you want to try it already, just replace HDRP's 5.2.3-preview with 5.3.1-preview (also for the visual effect graph if you've installed it) and swap 5.2.3 to 5.3.1 for core, shader graph if you have them listed separately there. ty,I thought was 5.3.1 without the preview extension similar to tag on github! 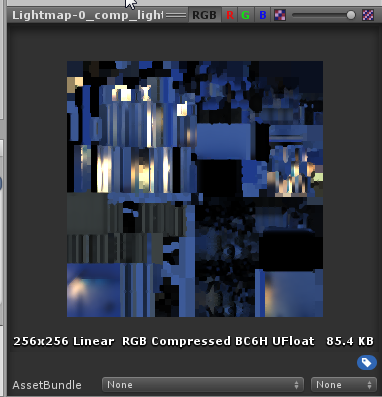 it's in preview for HDRP and Visual Effect Graph for packages, and without for core, lwrp and shader graph as those are getting out of preview officially for 2019.1. 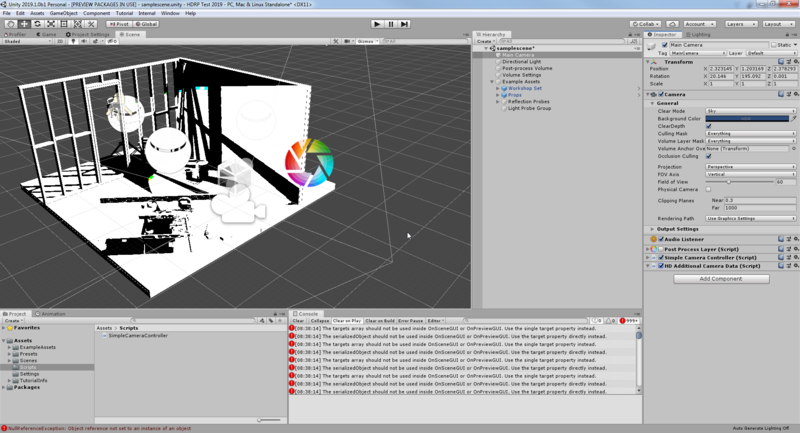 You can change your renderpipelineasset, enable or disable something like ssr and revert it. Shaders will refresh and everything looks normal again. Entering play mode does not help. I still get tons of different errors. Even having the camera selected spams an error every frame. I will try the 5.3.1 (or whatever is the latest at the time) tomorrow. 5.2.3 will throw some errors on things. New project with HDRP - not working - flood of errors. I give up. Nothing is working now. With 5.3.1 postprocessing stack is not working. No errors and no pp efects. With 5.3.1 postprocessing stack is not working. No errors and no pp efects. This is because HDRP 5.3.1 doesn't support the old Post Processing stack v2 at all. Don't even install PPv2 from package manger if you use HDRP 5.3+ as it will do nothing there. HDRP 5.3+ has now all post processing (v3) included in HDRP package itself and you can find these in the scene volume settings (so no need for separate post processing volume anymore). Ok, but in a new standard install of 2019.1.0b2 and create a new project - fails with flood of errors - then what to do ? PP 2.1.3 fixes the TAA error but you are likely to get other issues on HDPR 5.2.3. It's not the recommended version to use with latest 2019.1 versions. If you need HDRP on latest 2019.1, use 5.3.1 with it's own PPv3. If you want to keep using HDRP on 2019.1, PPv3 is what you'll be getting with it when 2019.1 is officially out, they will not support PPv2 for it. LeonhardP and hippocoder like this.